After a mad last two days rushing about trying to see as much of Berlin as I could, I decided to take it a bit easy on Saturday morning, and had a nice lie in. Then I headed down to the reception area of my hotel to upload photos and write up my blog from the day before. 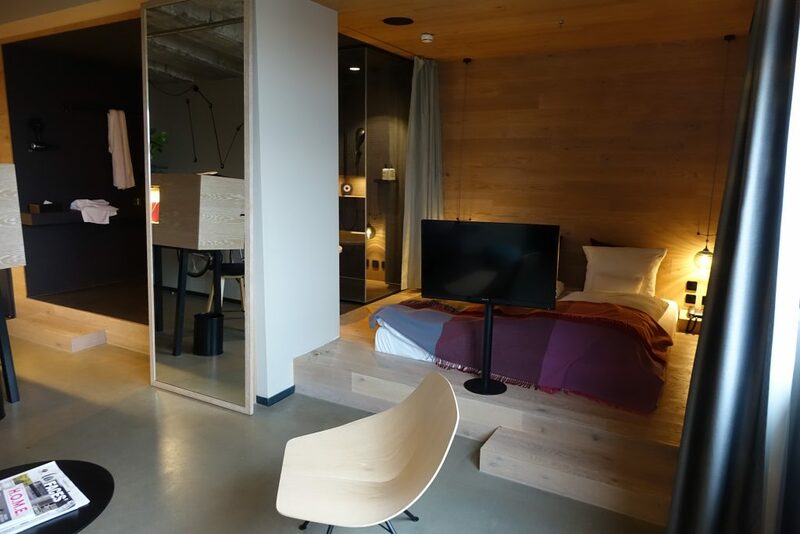 I’m staying at the 25hours Bikini Berlin hotel – and love it! 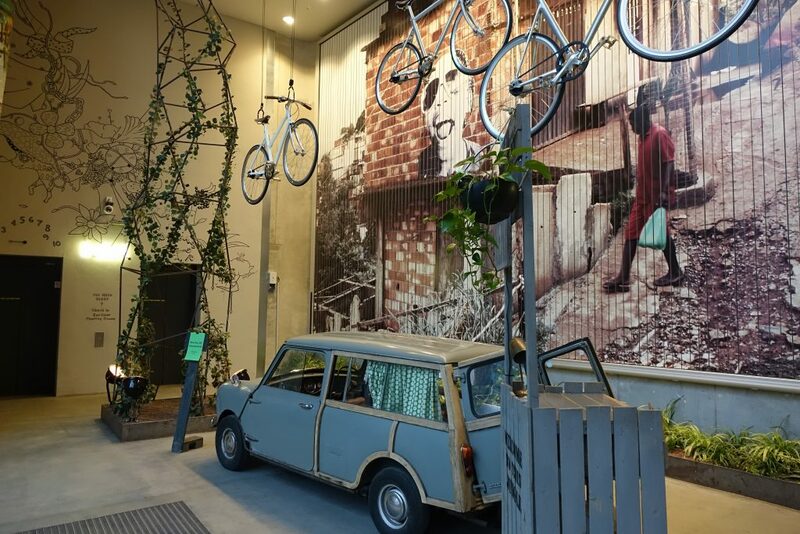 It’s situated next to the zoo in the West of the city, and is attached to a shopping mall full of cool shops and concept stores. 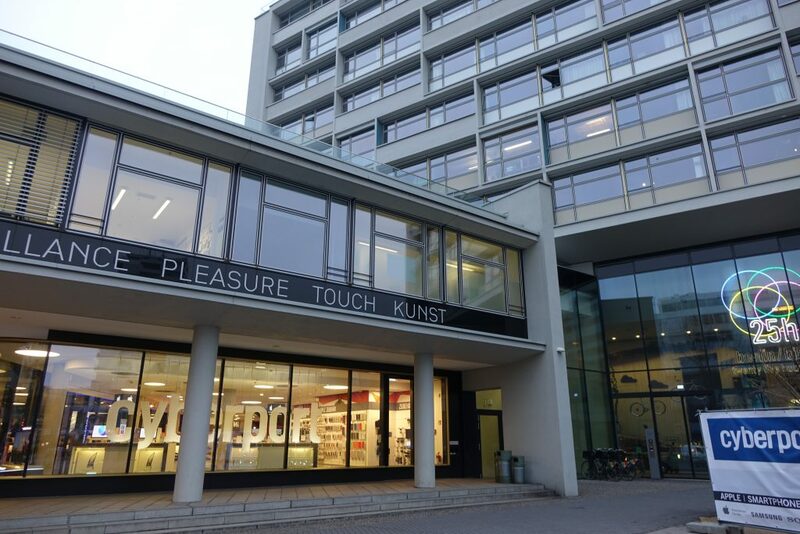 Which has a shop selling cool Berlin produced and related items. 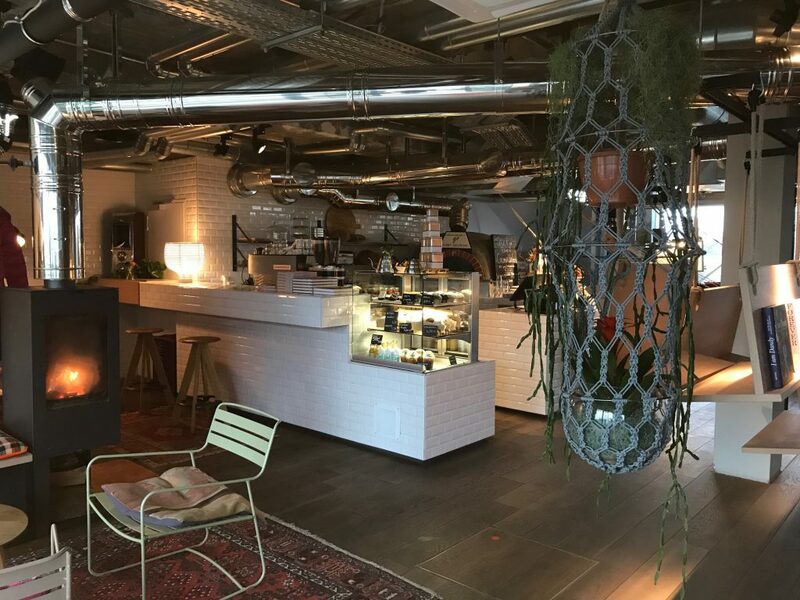 Next to that, there’s a small coffee shop and bar (the main bar’s on the top floor)…. 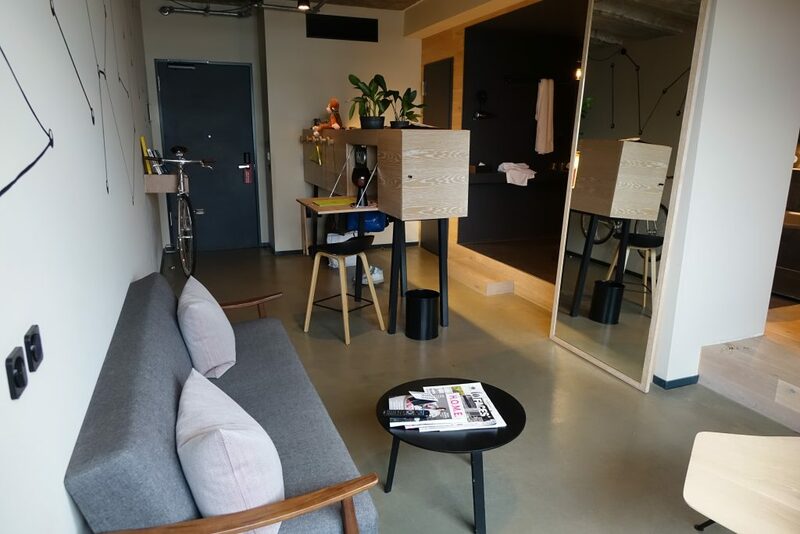 That’s the sitting area – with a small desk, and a bike on the wall, which you’re free to borrow while you’re staying. Over on the right hand side was the bed and bathroom – including a bath and a great shower. I’ve got to say, the hotel probably isn’t for everyone. If you want room service for example, you’re out of luck. 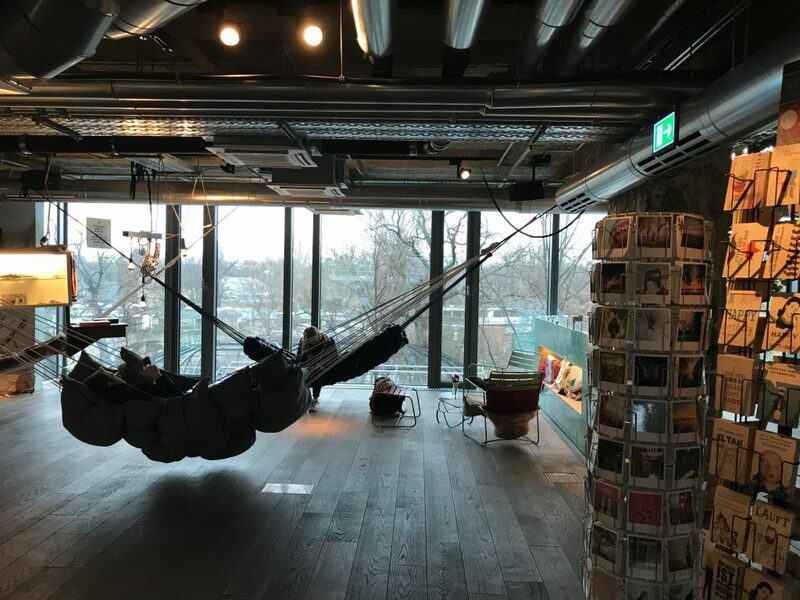 There’s no gym, or pool, but there is a sauna (more on that in another day’s post) and a full bar and restaurant on the top floor. I loved it – my only regret is that I didn’t actually get to spend more time in the hotel, which is a rare thing for me to be thinking! 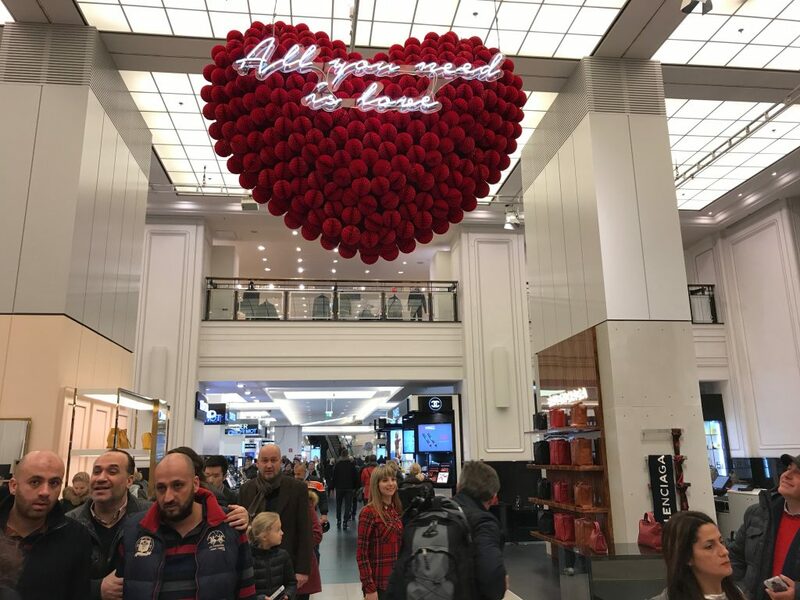 Anyway, back to my day – my plan was to do a bit of shopping, by strolling down Kurfürstendamm – one of Berlin’s main shopping streets, which was apparently modelled on the Champs-Élysée, and was only a five minute walk from the hotel. 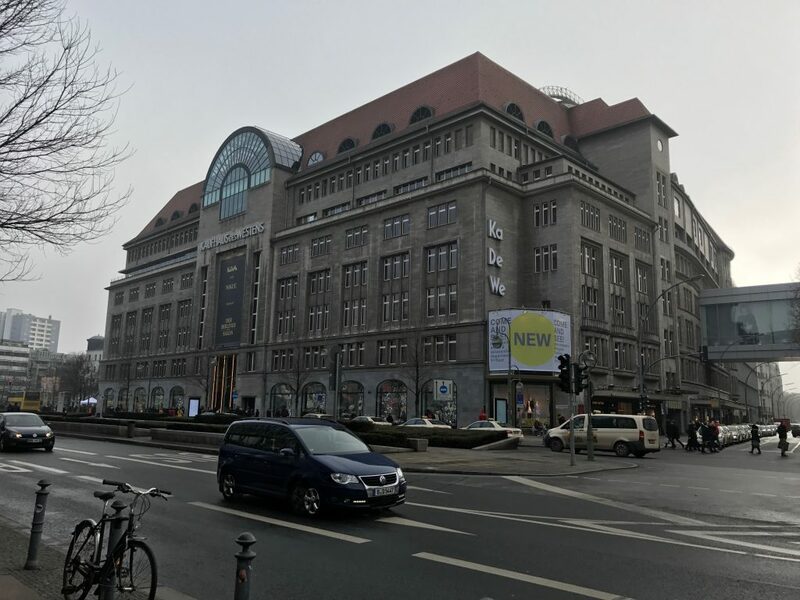 First though, I headed to Berlin’s most famous – and enormous – department store, KaDeWe or Kaufhus des Westhens to give it its full name. The gourmet food hall on the 6th floor is legendary. The place is enormous! And oozes luxury…. and expensive goods. Looks like that guy third from the left has seen his wallet just take a battering. I took the lifts up to the food hall, and started looking around, before I checked my watch and worked out I actually didn’t have much time. I’d promised my sister I’d head to a nearby toy store to check out some stuff, and it was a 20 minute walk away. So I resolved to come back for a better look on Monday, and started out on a swift stroll. Yet again, it was bracingly cold, but at least I had my new jacket, so I wasn’t really feeling it as much as I had been! 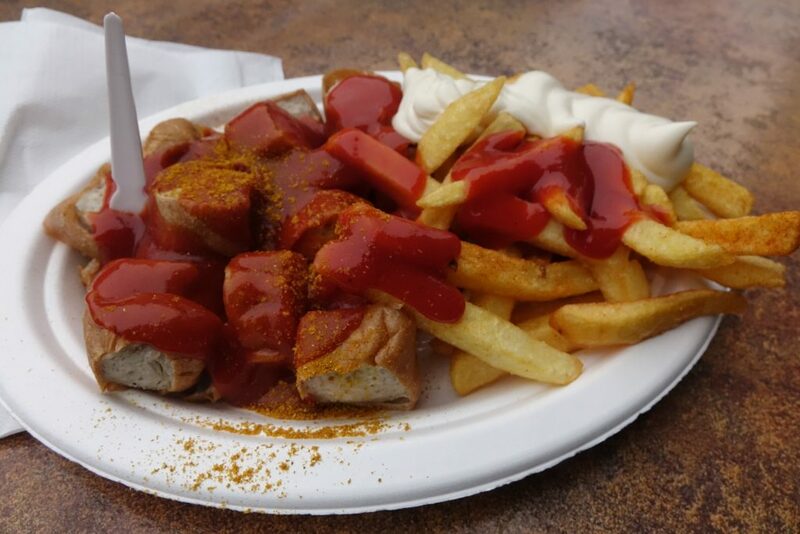 After getting to the toyshop, texting some pictures to my sis and not having to make any purchases, it was fast approaching time for lunch, and I had one place I was determined to visit to get the authentic currywurst experience. I jumped on the tube and headed to the Prenzlauer Berg part of town. Nestled below the train tracks beside the Uberswalder Straße U-bahn station is Konnopke’s Imbiß. It’s been on the same spot since the 1930s, and has also been run by the same family for the last nine decades. 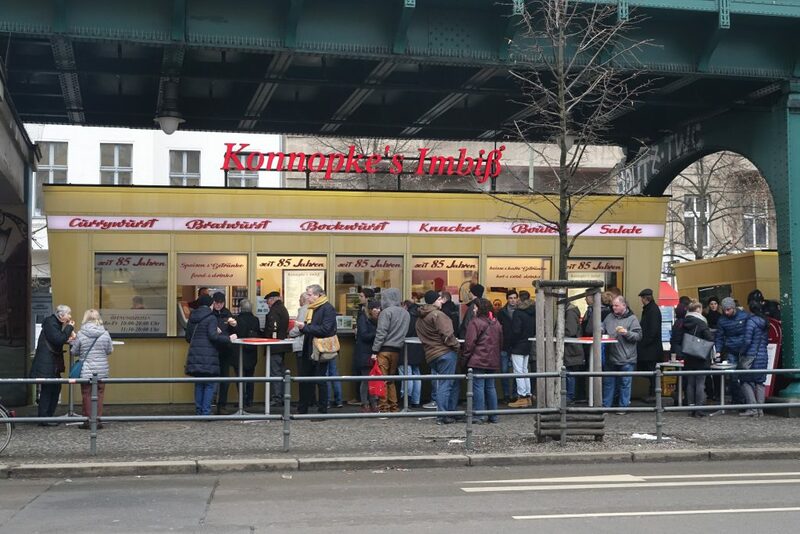 Rumour has it they were the first snack stall to sell currywurst in East Berlin in the 1960s. It’s apparently a legendary spot, so there was no better place to finally try that sauce-topped sausage. There was a sizeable queue when I arrived at around 2 o’clock. 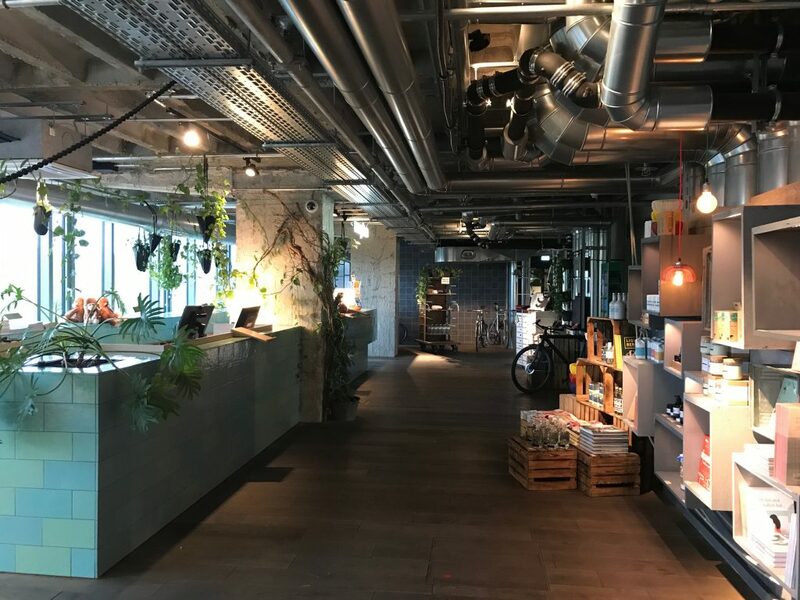 At the stand, there’s a window for drinks orders, followed by a window where you order – and seconds later receive – your food. There’s also a heated smaller building beside it, but I decided to do the authentic (I think) Berliner thing and stand outside to eat mine. Hmmm…. 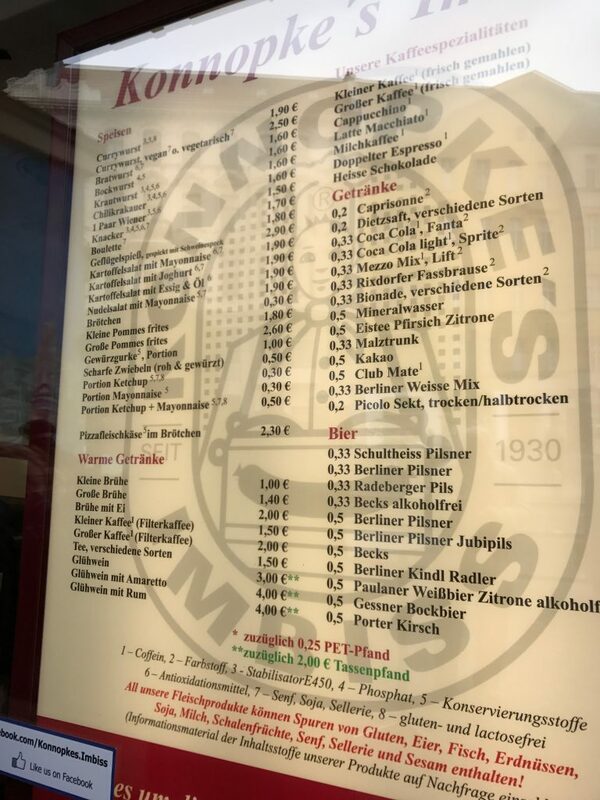 there was quite a lot to choose from, but I decided to go for the easy option from a sandwich board menu in English – the Großes Menü – 2 Currywurst, and a small portion of chips for €5.60. That seemed like quite a good deal! My food arrived just as I was getting my change. Some tourist beside me tried to grab it, steady on mate, it doesn’t arrive as you order it! It was two big, fat chopped up sausages (like hot dog sausages), topped with ketchup and with curry powder shaken over the top. Apparently the ketchup is curry ketchup, but to be honest it just tasted like normal ketchup to me! 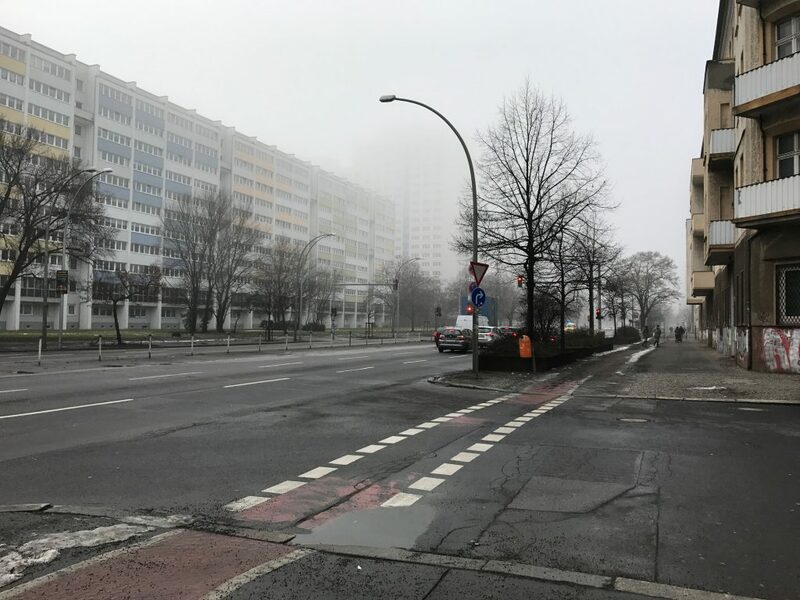 It was very, very satisfying on a cold Berlin day. I think it would be amazing after a night in the pub or on the way home after a night clubbing. Filling and slightly (but not too) stodgy! 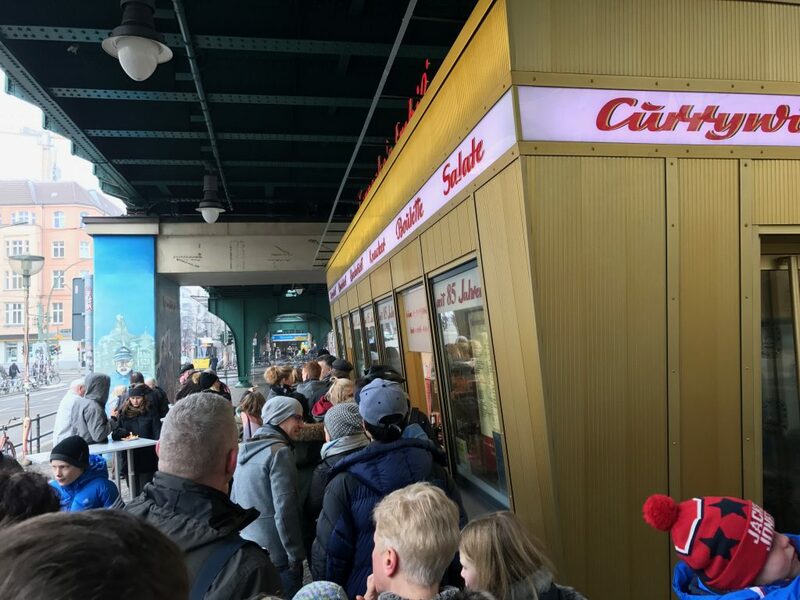 Curry 36 is apparently another place to try Berlin’s best-known dish. There had a location right beside the train station closest to my hotel, but I didn’t try it, so can’t vouch for it! I opened Apple Maps to get directions to my next attraction – only to realise that when I’d looked earlier and worked out it was a 14 minute walk, it was actually a 14 minute DRIVE. It was an hour and twenty two minutes to walk there. Gah! So I had to jump back on the U-Bahn, and if I was lucky, I’d only just make it in time for the 3pm English tour. 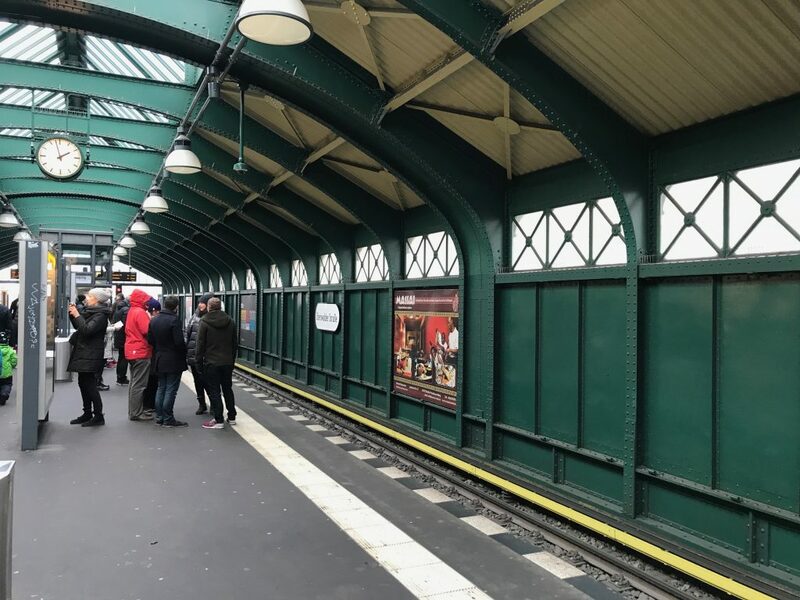 One thing I found really unusual about Berlin’s public transport – well the U-Bahn (overground), S-Bahn (underground) and railways anyway – is that there are no ticket barriers anywhere. It works on an honesty system, and you just walk into a station and right on to the platform. I wouldn’t recommend trying to cheat the system though – I did encounter ticket inspectors once on my stay! 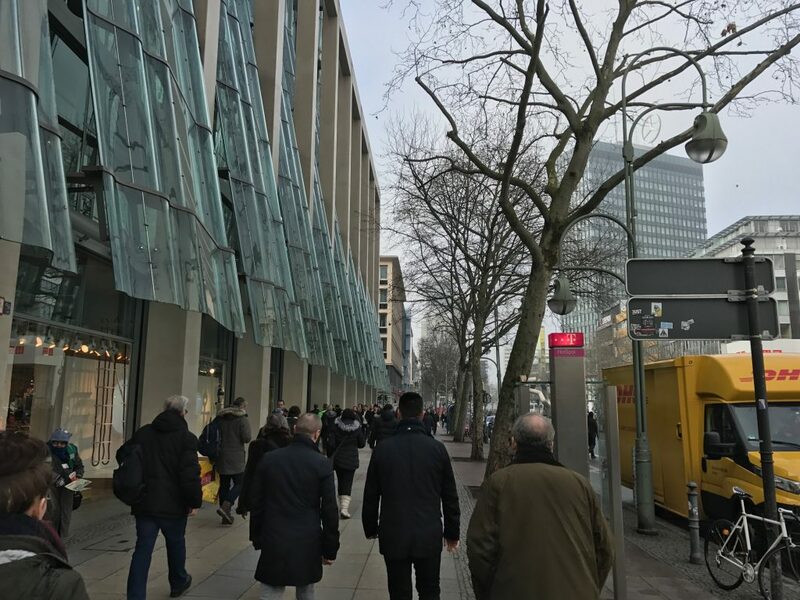 I jumped off the U-bahn at Magdalenenstrasse, and instantly felt like I was in an old part of East Berlin that hadn’t changed much since the days of the GDR. 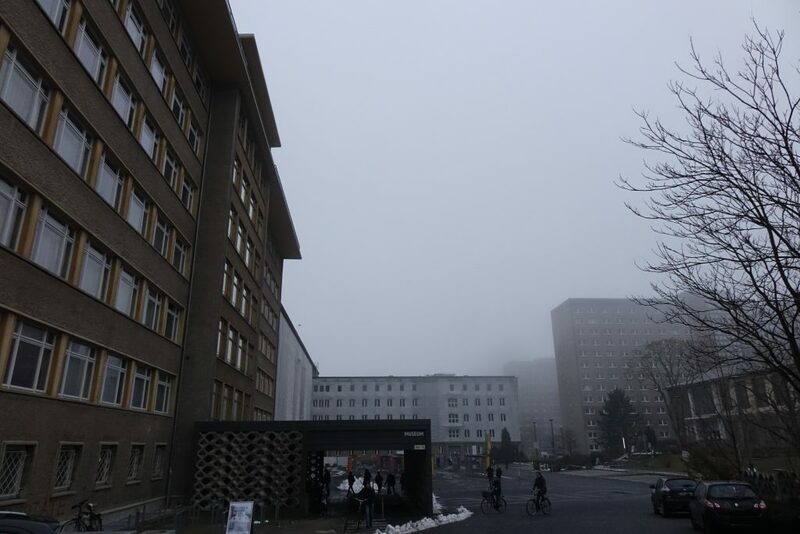 I think the fog or mist probably helped, but weirdly it felt different from the rest of the city too. The streets were pretty deserted which probably helped add to the atmosphere! 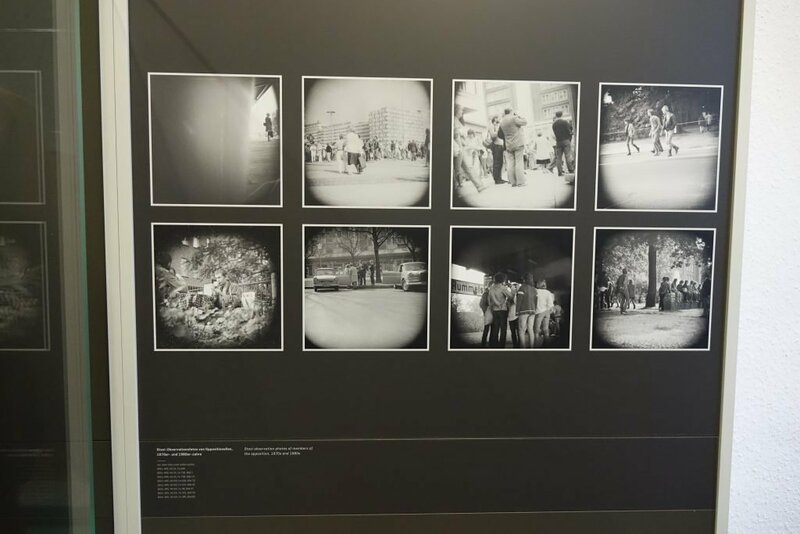 A ten minute walk from the station was the Stasi Museum. And boy did it look creepy. 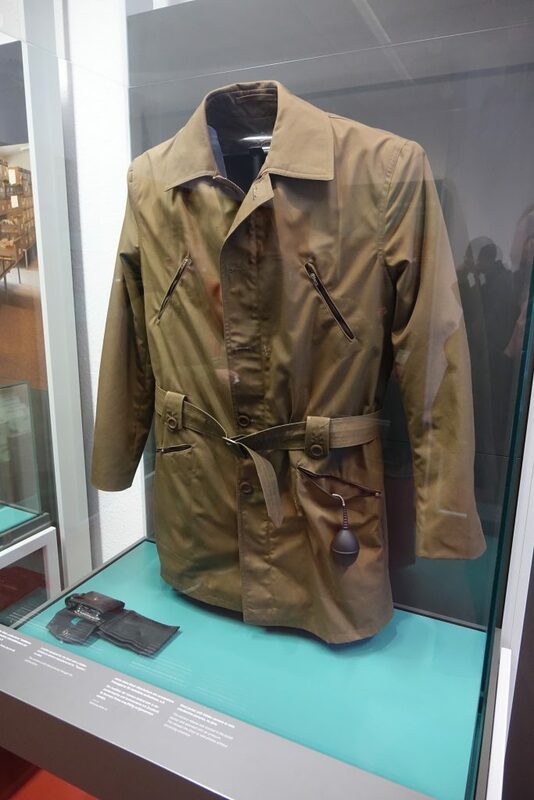 The museum’s located in House 1 – one of the buildings located on 22 hectares of grounds that made up the headquarters of the Ministry for State Security of East Germany. 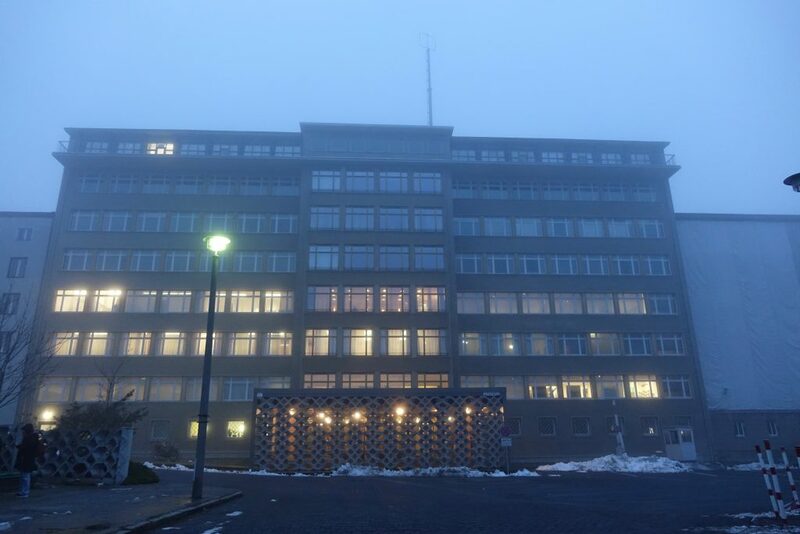 It was built in 1961, and housed the offices of Erich Mielke, who ran the Stasi or secret police from 1957 until the end of the GDR. Walking in to the reception area, it was cool to see the building was really untouched from how it had been originally. It was cool but slightly intimidating at the same time. I bought my ticket (€6, or €4,50 with a welcome card) and paid an additional one euro for permission to take photos. After a short while, Nicholai, actually a Frenchman, started our tour. Starting at a Stasi van used to pick up and transport people suspected of being state enemies, he gave us a bit of a general background about the GDR’s secret police force and the building we were in. 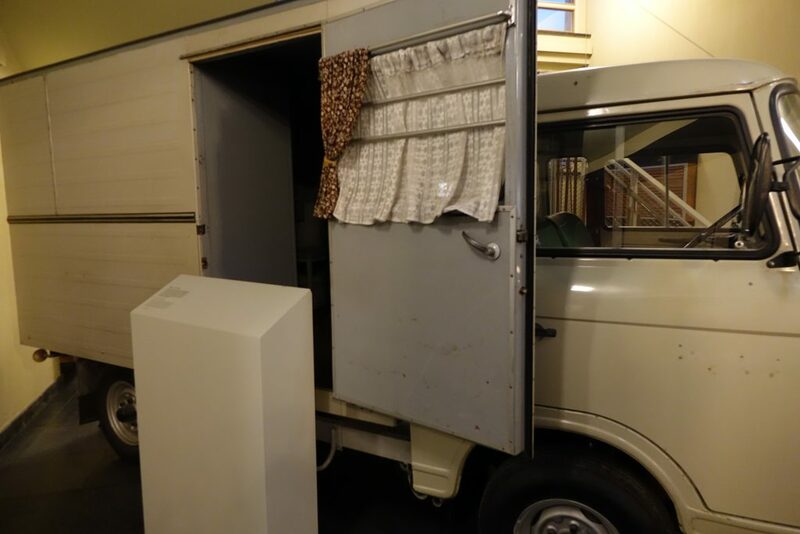 He pointed out how the van had no windows, and had been disguised – with flowery curtains and some stickers (which we could still see marks of) on the side which related to a presumably fake business. 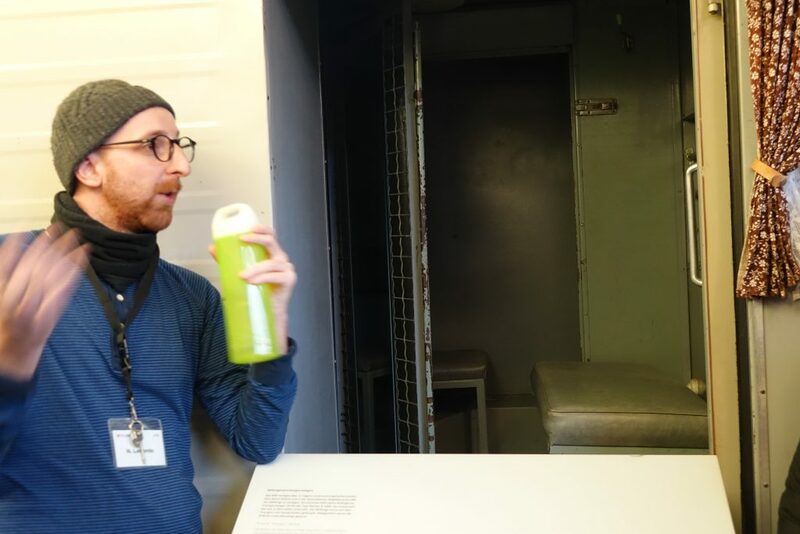 Nicholai told us that often when people were placed in one of the cells inside the van, they’d be driven around for five or six hours – even if their destination was only twenty minutes away from where they’d been picked up. 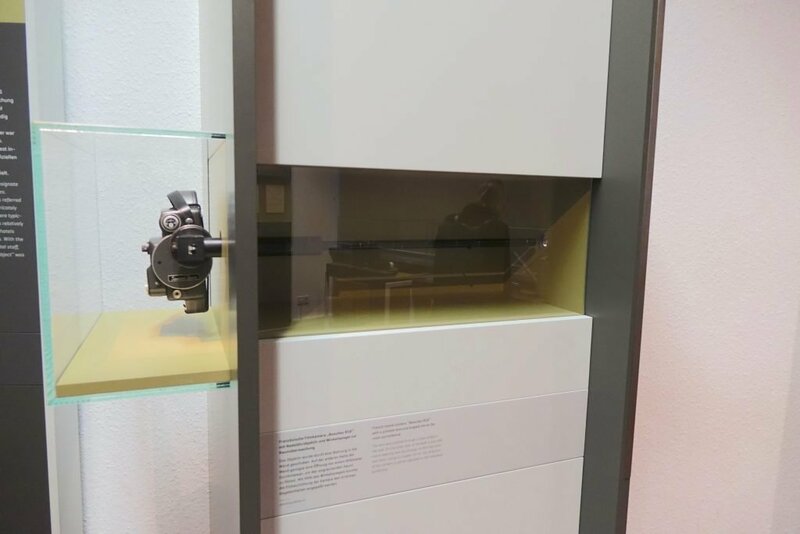 That would be the start of the use of the Stasi’s psychological techniques. I was enthralled. Secret squirrel stuff just intrigues me! Moving upstairs, Nicholai took us ’round the different sections of the museum, explaining in more detail all the exhibits. There was some great stuff to see…. 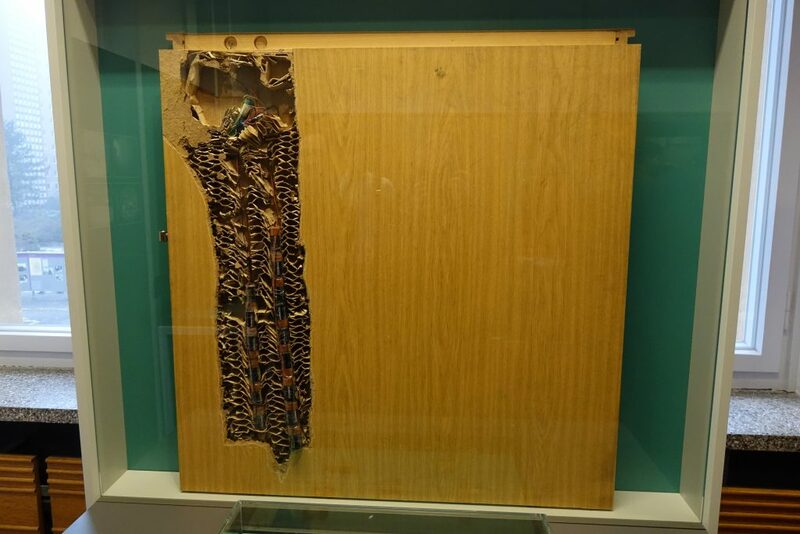 That’s a bug attached to a whole load of batteries. And there was this amazing camera, which would be extended through a wall into an adjacent room or apartment. 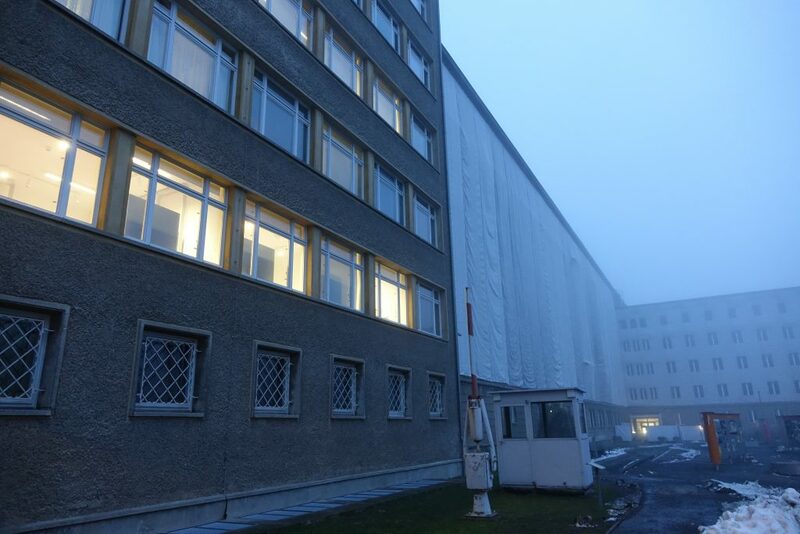 Nicholai told us that the Stasi was an enormous operation – it had over 91,000 employees. 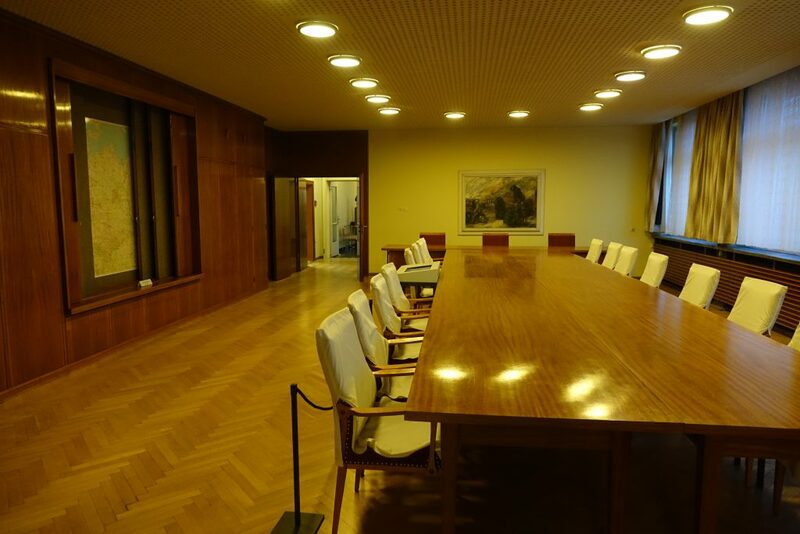 They kept incredibly detailed records about their work, and apart from their massive East Berlin headquarters, also had over 200 other offices scattered throughout East Germany. 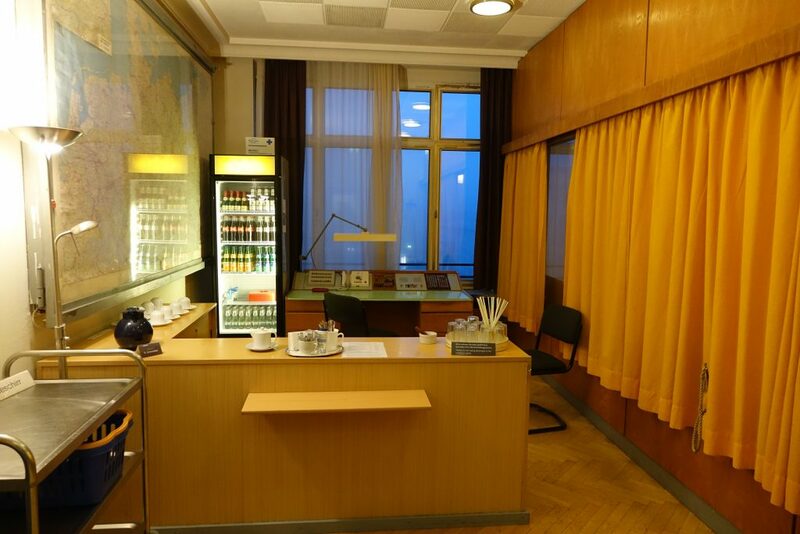 But as well as their staff, the Stasi also had a network of over 189,000 informers – meaning one in 90 people living in the GDR was feeding the Stasi information. 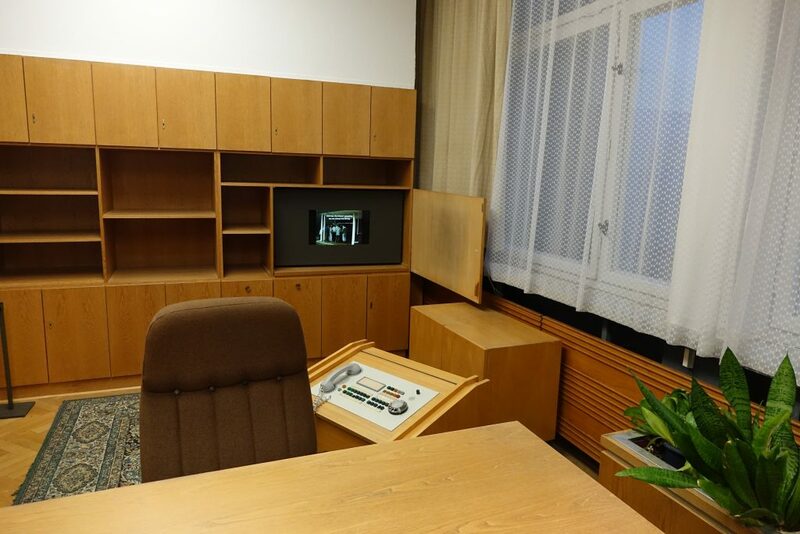 Running the ministry for over 30 years was Erich Mielke, and on the second floor of the building, Mielke’s offices lay practically untouched since he used them. They’ve been used a lot in films (such as The Lives of Others) and a favourite recent TV series of mine, Deutschland 83. It was fascinating, but slightly creepy standing where such a powerful man had presided over what was ultimately a terrifying organisation. 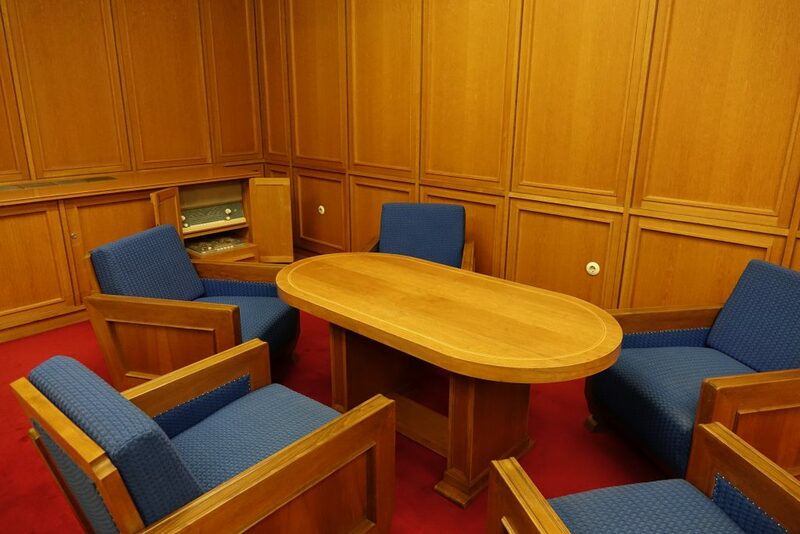 In the corner, there was a table and chair for meetings – and a tape recorder hidden in a drawer. While further along the corridor was a larger meeting room. 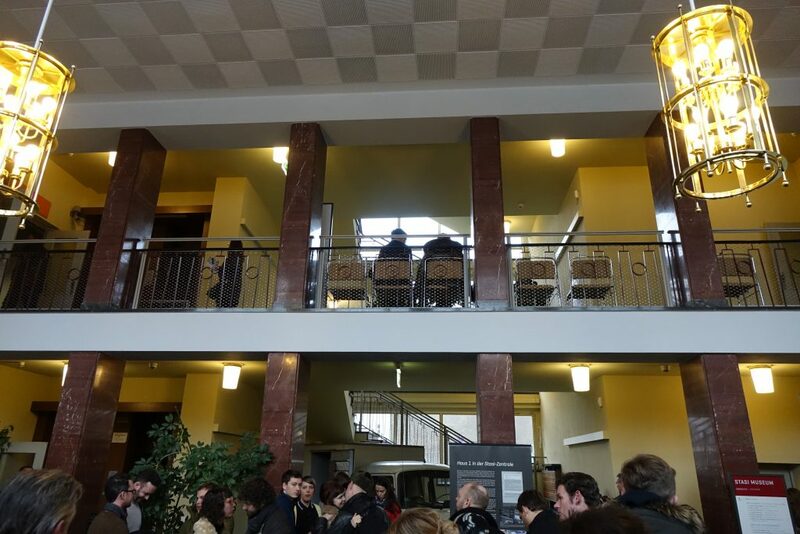 This was where we said goodbye to Nicholai – he’d been a really good guide, and had told us so much about how the Stasi worked, how their agents were recruited, and how they managed to infiltrate every part of everyday Eastern German life. 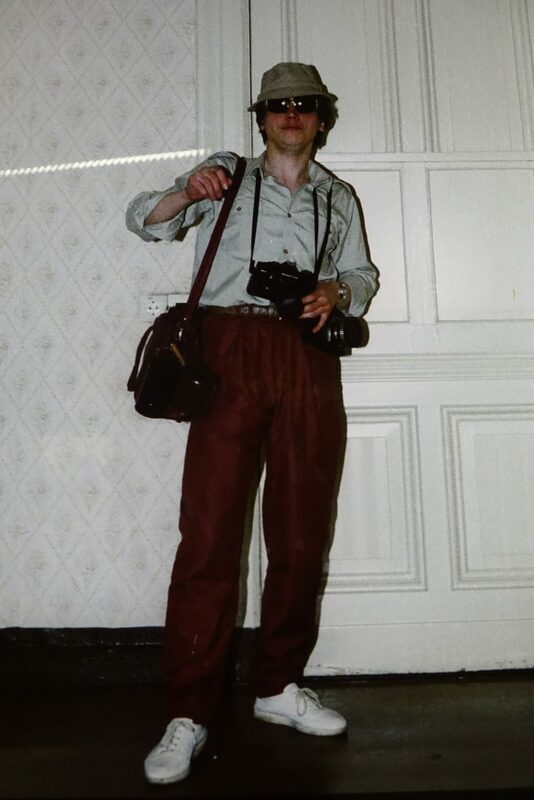 I wandered back downstairs to pour over the exhibits again – there were some amazing photographs, including this one of a Stasi agent trying on his “tourist” outfit. All of a sudden, a shiver ran down me, and I got the total heebie-jeebies. (Or however you spell them). Living in East Germany, I think you’d be completely in fear of the Stasi – of disappearing, or being imprisoned simply because of your beliefs. 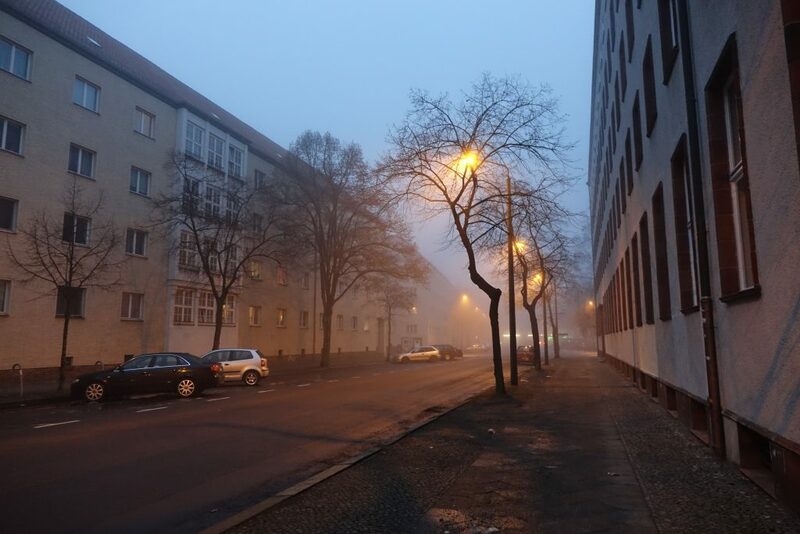 I headed back towards the U-Bahn station, with that residential street creeping me out even more. I jumped back on the U-Bahn, grateful that my next destination would be completely different. 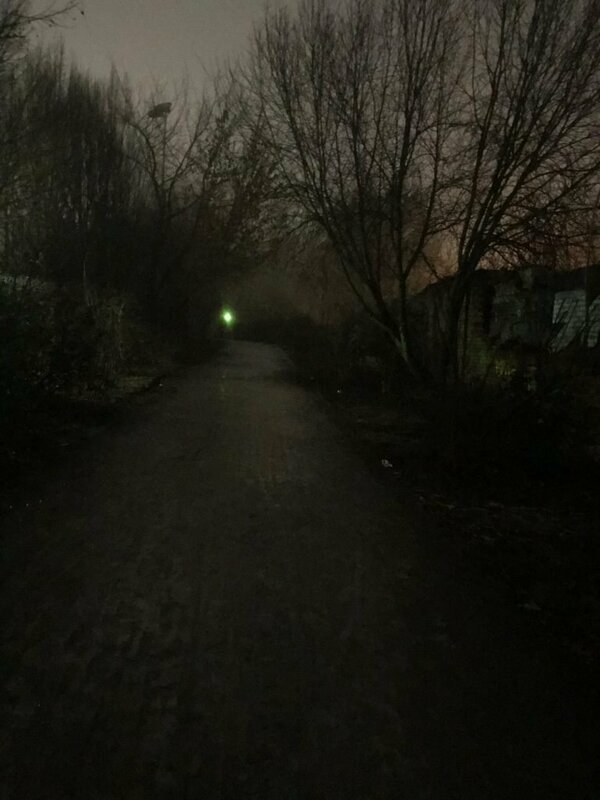 Although I was a bit freaked out still when my ‘phone sent me down this lane on the fringes of a park. Yeah that walk wasn’t great! 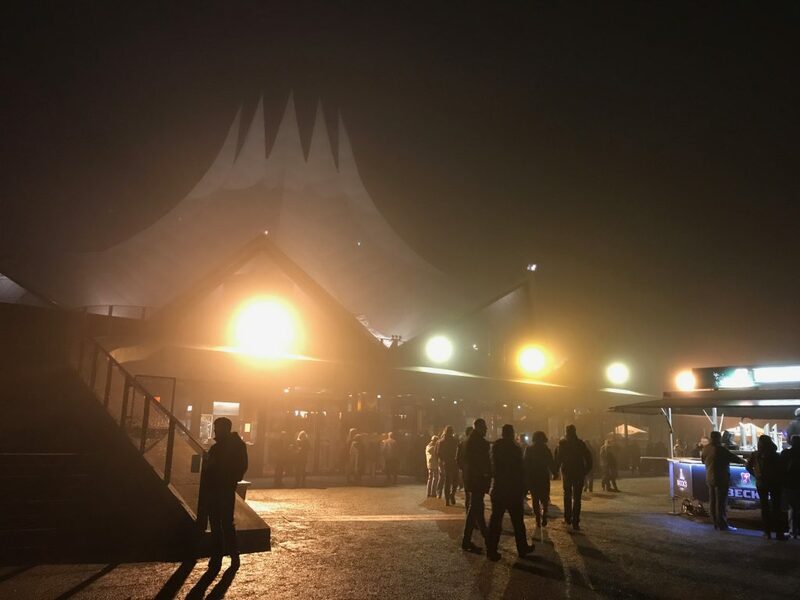 I was a bit worried that I’d be the only person at the place I was heading, but as I approached the venue, there were hundreds of people milling about, and lots of beer and food stands outside! Would it be too mobbed? Then I discovered there was actually some kind of snooker tournament going on inside the building adjacent to the one I was visiting (going by the TV outside broadcast vans and snooker.com vans outside). I headed around the corner to Liquidrom. It was time to do a bit of chilling out. 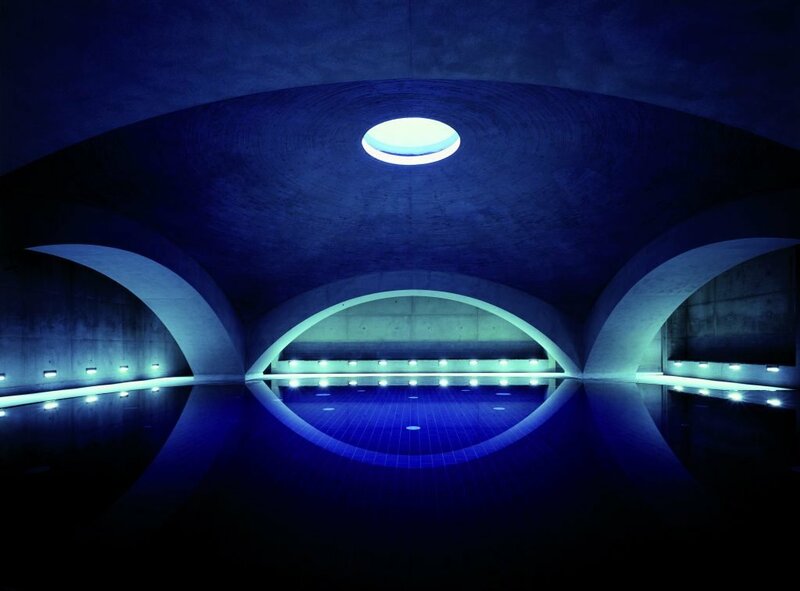 I’d done a bit of research on spas before I left the UK, and stumbled across Liquidrom – it’s best known for its large salt water pool in a dome, which has underwater lights and other lighting effects, and a soundtrack of chilled out classical or electronic beats. Sounded a bit different, so I thought I’d give it a try! It’s not cheap to be honest – a two hour ticket costs €19,50 and it’s extra for a towel and a bathing robe. I didn’t get a robe, but I would recommend one! 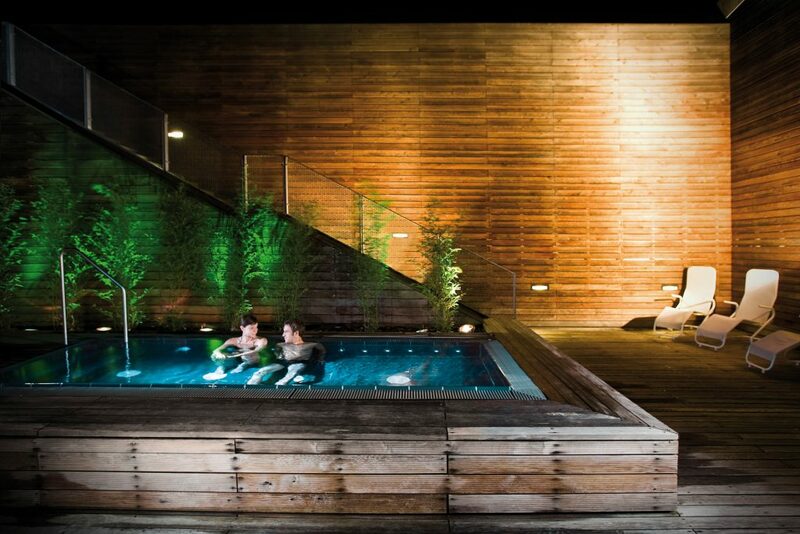 The pool was really relaxing, and though there were plenty of people milling about the spa, it wasn’t too busy. I grabbed a foam noodle and floated about for a while, listening to the gentle piano music. 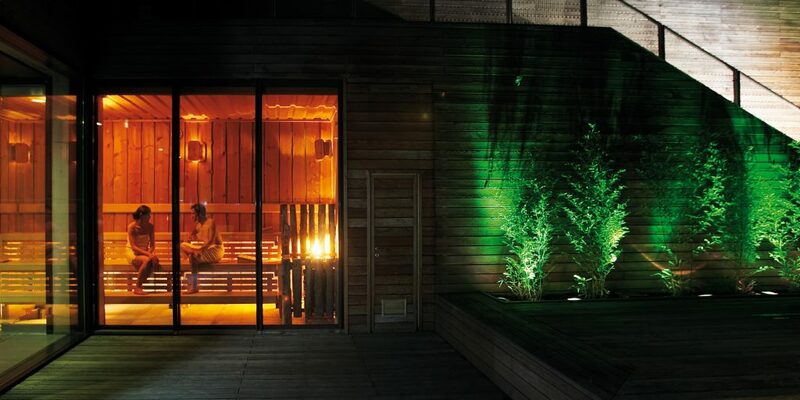 As well as the pool, there were two saunas – one of which had regular infusions – where a member of staff would put a sign on the door barring entry if you weren’t already inside, then release fragrances. After around six minutes (I think) people came out, rubbed a scrub on themselves and went outside in to the cold February air. I didn’t try that as I just missed it happening, so checked out the two saunas, a Himalayan salt sauna (not sure what the purpose of that is?) and the steam room. I also took a dip in the outside Japanese onsen style bath. I think I spent an hour and a bit at Liquidrom, and so it seemed quite pricy for what it is. But, if I’d rented a bathing robe, I’d have been tempted to stay for dinner and a drink – the food’s apparently quite good, and there were plenty of people sitting at the bar eating and drinking. By now it was getting quite late though, so I was keen to start heading back towards my hotel. And I also wasn’t too keen on sitting eating in just my swimsuit. 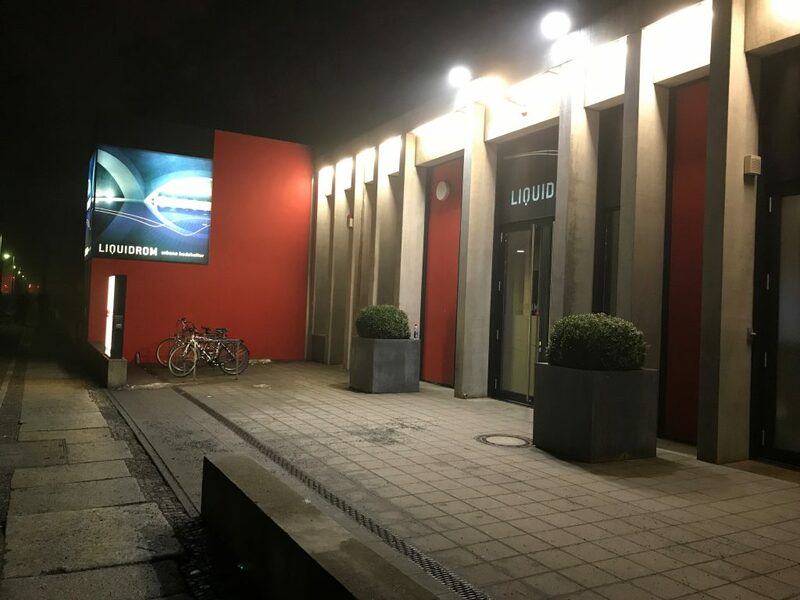 If I lived in Berlin, I’d probably visit Liquidrom every six weeks or so as a bit of a treat – there are multiple visit tickets which offer better value. My tip if you’re going though – pay the extra and buy a bathing robe! It’s a nice facility. 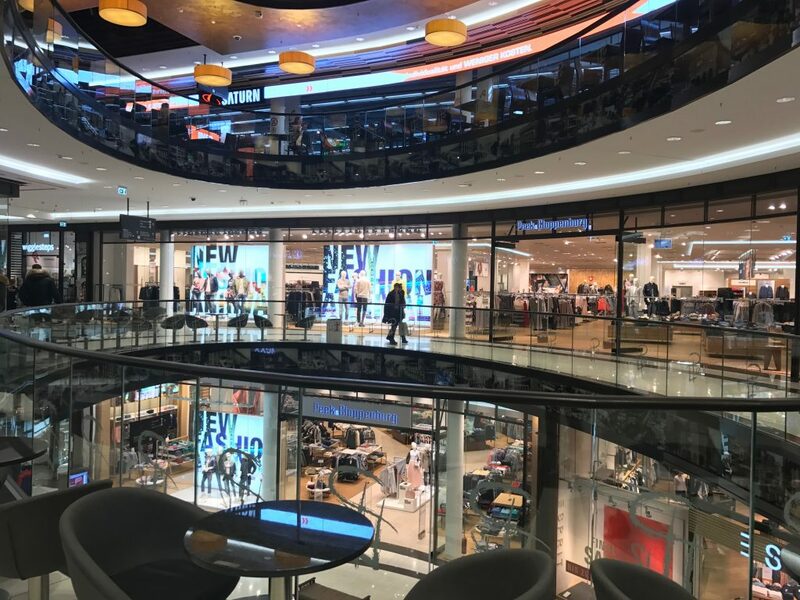 It was around eight o’clock by now, so feeling a bit peckish, I decided to travel just one stop on the U-bahn to Postdamer Platz, where I was aware there were some big malls, and where I thought there would be plenty of restaurants to choose from. Coming out of the train station and checking Foursquare though it appeared really, the only places around for dinner would be in a mall. 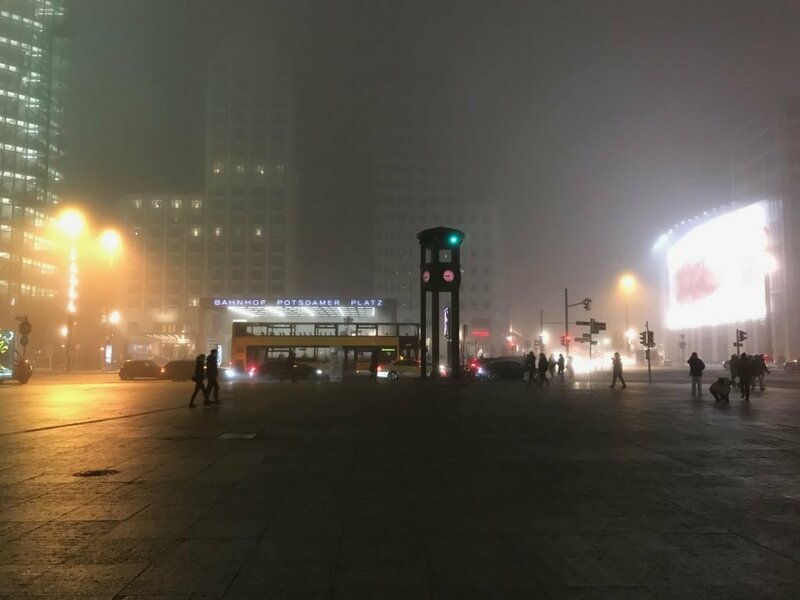 Given how dark and foggy it was, I didn’t really fancy wandering around the area in the hopes of finding somewhere else, so headed into the Mall of Berlin, which is massive. Now’s as good a time as any I thought! 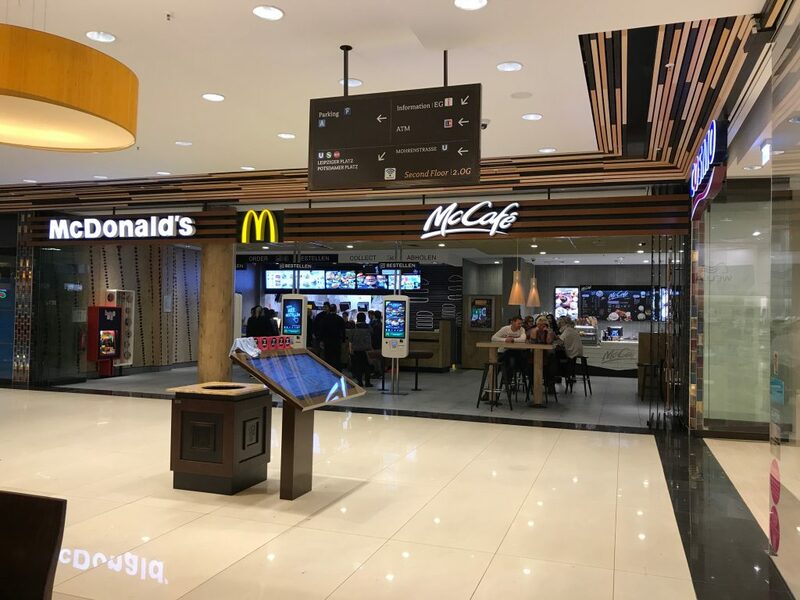 So headed in and used the touchscreens to peruse unusual German McDonald’s items before making my selection. Soon I was sitting down to enjoy a Big Rösti and Rösti sticks. It was awesome! Filling, hearty and hot. I loved it. There was a creamy cheese sauce on the burger which just hit the spot. 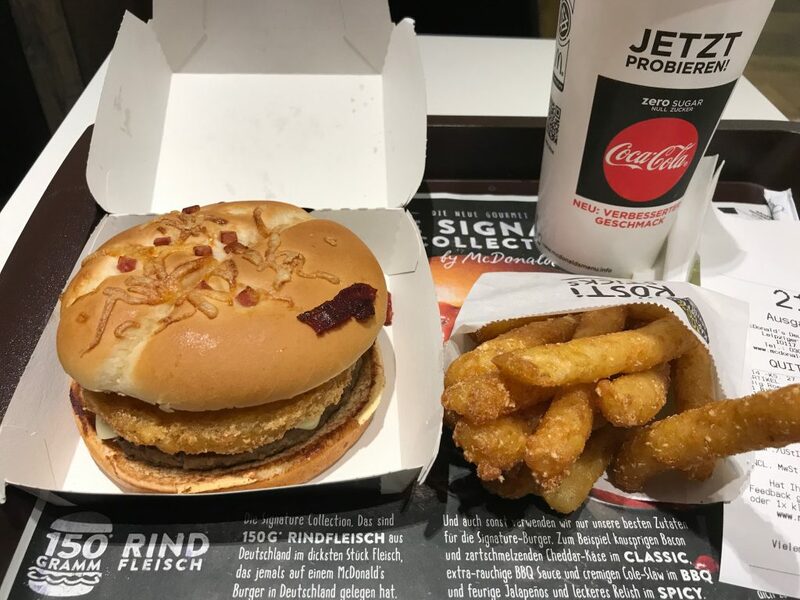 Yeah, I know, I was a bit lazy just heading to McD’s, but it turned out to be exactly what I needed. 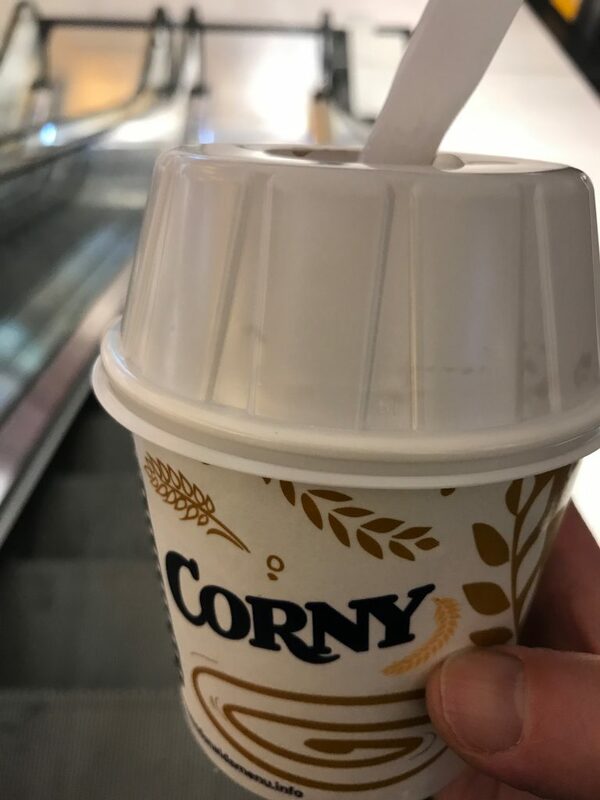 To top off the experience, I also went back and got a ‘Corny’ McFlurry for the walk back to the U-bahn. Which I did think was a bit expensive at €2,49, they’re not that pricy here right? Fully fed, I made my final U-bahn journey of the day back to the hotel and had some vino in the coffee shop before heading to bed. It had been a day of experiencing the traditional, sinister and leisurely experiences to be had in Berlin, but tomorrow I’d be heading out of the city on a day trip.